Malicious browser cookies, data breaches on third-party sites, or logging into Facebook quiz pages to find out what kind of sandwich you are can result in your account details falling into the wrong hands. Over the weekend, a series of failed login attempts alerted our security team to a script attempting to access multiple CoinPoker accounts. Using a list acquired illegally from unknown online sources that included large quantities of login data, the thief managed to access a limited number of accounts and acquire the funds of a select group of players. Luckily our security team was alerted early. We can confirm that no data or personal information has been exploited. 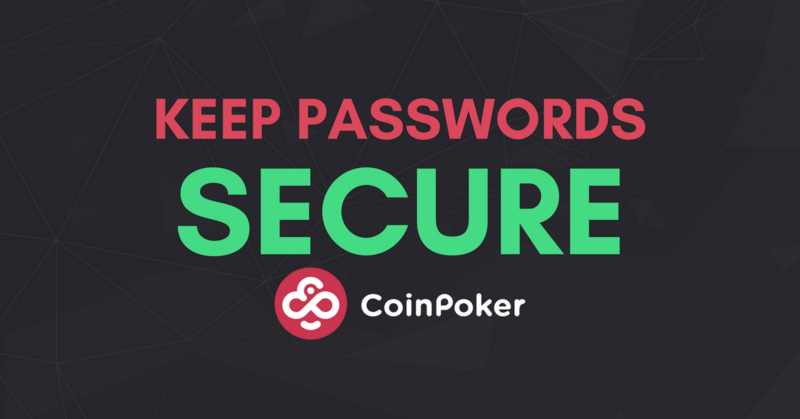 While the threat has been removed, we strongly advise you change your CoinPoker password and to complete a security scan to remove possible malware. Not using personal information such as birthdays, places, phone numbers, etc. We are still collecting data on this incident, and despite the fact that this unfortunate experience is entirely out of team’s hands, we want our players to know that we stand by them in the face these unpredictable events, and hope that by educating and supporting our community we can equip them with the knowledge to stay safe and secure online. We will contact all players who were affected by unauthorized login attempts to help them secure their accounts. If you have any questions or need assistance regarding this or any other matter please contact us at [email protected]or get in touch with our community on Telegram.